He was involved with the Dreamcast at Sega, and served as the COO of Sega of America. He currently works at a CG animation studio affiliated with the Sega Sammy Group called Marza Animation Planet. The Dreamcast was known by many for using a large amount of money on promotions, such as the commercial featuring Managing Director Yukawa. It seemed like smooth sailing at first, but it was affected by problems with the graphics chip and supply shortages. Sega tried for a comeback with a large price drop, but they ended up having to cease sales a mere two years after its release. We ask Masanao Maeda, formerly of Sega, about what happened in that short time. What did you feel that the mood was like at Sega when the Dreamcast launched? (Maeda) Morale was very high since we’d just sent a new piece of hardware out into the world. We’d spent quite a bit of money on advertising for the Dreamcast, so the price of the console ended up being more expensive than people expected due to the large amount of promotion that we did for it. Even before launch, the Dreamcast was a bit of a social phenomenon in Japan. 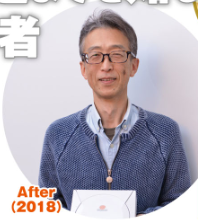 In what way were you involved with the Dreamcast at that time, Mr. Maeda? (Maeda) I had been in charge of licensing since I started with the company, so I dealt with third parties during the Dreamcast era as well. This consisted primarily of asking for titles to be made for the Dreamcast, but also involved negotiations regarding things like “Make it an exclusive title!” and “Release it quickly!”. What was the reaction from third parties at that time? (Maeda) The Sega Saturn put up a good fight in the Japanese market, and had a generally good reception. But it really suffered in the overseas markets, so that was very tough. We had third parties worrying, asking us things like “Is the Dreamcast going to be alright?”. And getting into that, there were hardware supply shortages in Japan. (Maeda) That’s right. There’s always a bit of commotion for any piece of hardware before launch, but it was particularly hard for the Dreamcast. We found problems with the graphics chip, which caused problems for other companies…Sega somehow managed to develop the port of Virtual Fighter 3tb in time for launch, through sheer hardware-maker will. But not having any titles lined up after Sonic Adventure in December made for some pretty painful memories. On the other hand, since the Dreamcast launched in North America about one year later, it had a ton of software for launch, and had a great start. With it coming out on 09/09/1999 at $199, it set a record number of units sold from launch day to the end of that year. If things had happened here the same way they happened in America, maybe things would have been different in Japan as well. Maybe so……Then in Japan, software was the bottleneck after all? (Maeda) As you know, Dragon Quest and Final Fantasy are both big titles in Japan. We really wanted them to come out on the Dreamcast, but Enix and Square both had very open policies of releasing those titles on the best selling hardware platforms at that time. So all we could do was prove that Sega’s hardware was the best. But unfortunately, the dream of getting those two big titles to come out on Sega hardware wouldn’t come true. We’d actually been talking about this since the Sega Saturn era. In the past we’d even made a 3D prototype game with a Dragon Quest motif, which was shown to Yuji Horii. Oh really? If either one of those big RPGs had come out on the Dreamcast, the future of that hardware may have changed. Never Before Heard Stories of The Battle of Dreamcast’s Withdrawal! Back then how did you see the PlayStation, which was viewed as your rival? (Maeda) The Saturn and Dreamcast were pieces of hardware that were made by a game company, but the PlayStation felt like hardware that was made by an electronics company. Also SCE took a very fresh approach with their marketing. I remember being honestly impressed by it, and thinking “Is this how marketing should be?” (Laughs) Up until that point our way of thinking was to just sell the games that we finished, in order. But because of SCE we began being much more strongly aware of the strategy behind our lineup. And because of that the console wars got more interesting with the release of the Sega Saturn, and it was all very thrilling. At this point, I’ll ask you the big question: Are there any factors in particular that you feel would have led to the Dreamcast winning against the PS2? (Maeda) Building DVD playback into a game system is something that we as a game company just never thought of. But even if we’d thought of it first, I think there would have been a strong reaction going in the direction of “Isn’t it bad that Sega is moving away from games?”. SCE was able to do that because they had the broad-mindedness of an electronics company. So in the end, they fought not only with games, but also with DVDs. (Maeda) I think so. Back then it was a battle fought against an opponent that we couldn’t even have imagined. Do you think the fact that PS2 was backward compatible with the original PS also put the Dreamcast at a disadvantage? (Maeda) Backward compatibility was definitely one of its charms. The issue for us was that the Saturn’s architecture was just too complicated, and the Dreamcast couldn’t just inherit it (Laughs bitterly) SCE developed their console with backward compatibility in mind, but I’ll say that we were making hardware that had all of our ideas and challenges packed into it, and we gave absolutely no thought to backward compatibility. That may have also been another difference in the thought processes between hardware made by a game company and by an electronics manufacturer. Sega’s spirit of always wanting to challenge things ended up turning against itself then. Also, the Dreamcast had a price drop down to 10,000 yen on 06/1999, right? That was really surprising. 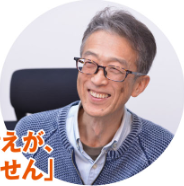 (Maeda) That was a decision made by the top management at Sega, including Mr. Okawa (Isao Okawa, Sega’s CEO at the time). Lowering the price of the hardware without cutting the cost to make it resulted in a deficit for us, but the strategy was to make up that deficit in software sales. I think that Mr. Okawa felt very strongly about the Dreamcast. But the plan of having a big price drop didn’t turn things around for the Dreamcast. So unfortunately, on January 2001 Sega officially announced its withdrawal from the console hardware business. (Maeda) Yes. The company wasn’t in such disorder to the point where everyone was panicking or anything, but there was a sense of loss with hardware going away, and a gloomy atmosphere as though the ship was sinking. But there were also feelings of excitement over being able to release Sega games on Nintendo and Sony hardware, both of which sell well worldwide. I see. How did you job change after the announcement? (Maeda) For example, we sold it for $99 in America with packed-in software in order to minimize damage. That was a pleasant miscalculation. Getting through withdrawing from the hardware business without damaging Sega’s name was a very proud moment in the life of the company. The Dreamcast met an unfortunate fate, but it made a magnificent withdrawal. Lastly, what kind of hardware was the Dreamcast to you? (Maeda) The Dreamcast was hardware that had a soul full of strong ambition, that couldn’t help but take on new challenges. Its dreams fell apart, but I think that even now that Sega DNA that was within it continues to be passed down. Seaman is the Dreamcast title that left the biggest impression on me. It wasn’t a title that sold 2,000,000 or even 1,000,000 copies, but the buzz around it was amazing. The feeling of satisfaction of releasing such a cutting edge game on the Dreamcast was amazing. Phantasy Star Online was also a revolutionary title for its time: A 4-player online game in a time when online games weren’t really recognized by the world. With cutting edge titles like this, Sega had no problems being a top competitor in the games industry at that time.